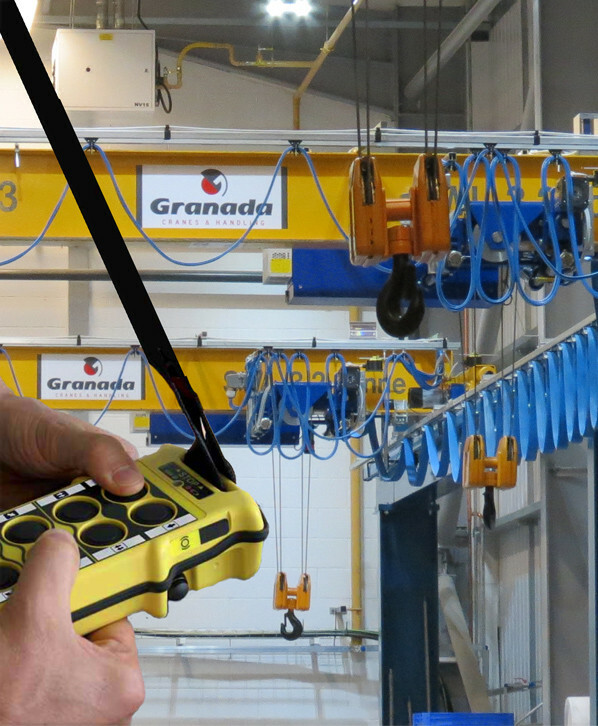 Here at Granada Cranes and Handling, We supply, install and maintain various wireless control systems for the safe operation of overhead cranes and other associated lifting equipment. Our crane radio remote control systems are manufactured in Europe and are extremely versatile. 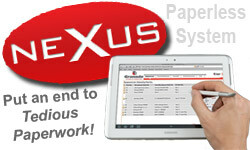 We offer crane remote control systems for all makes of overhead crane. We supply radio remote control systems from Autec, Simbal / IMET and Ikusi. Crane radio remote control systems provide safe, reliable and precision control of lifting equipment while enabling the operator to change position around the load being handled to enable the best view while maintaining a safe distance from the load. We offer advanced radio systems from manufacturers such as Autec and Ikusi that are suitable for operating any overhead crane. A crane radio remote control system is a good way to modernise an existing crane that is controlled by a traditional pendant. Our radio systems can be retro fitted to any existing crane, Including, but not limited to; Kone Cranes, Street Cranes, Demag Cranes & Morris Cranes. Should you already have a wireless control system fitted to your crane but require spares, adjustments or repair, you may be pleased to know that Granada Cranes and Handling carry a wide range of Autec, Ikusi, Simbal and IMET parts in stock and we have engineers available 24 hours a day to carry out essential maintenance, upgrades and repairs.